Sometimes I see the submissions for the "How I Got Here" series by kids musicians talking about albums important in their musical and career development, and their essays are episodes of discovery to me, albums I'm knowledge of in name only. But other times I'm much more familiar with the albums, and reading is an experience of seeing an old favorite through someone else's eyes (or, rather, hearing it through their ears). That's the case this around, as Portland's Dan Elliott, AKA Pointed Man Band, shares a few words about Paul Simon's Graceland and Beck's Midnite Vultures, two albums I've still got sitting on my actual shelf. And while those albums might not be the first albums that come to mind when you hear Between the Waves and the Cardoons, Elliott's latest lushly orchestral-pop opus, reading the essay, you can see where he's coming from. So step inside his Hyundai and find out how those albums influence him. 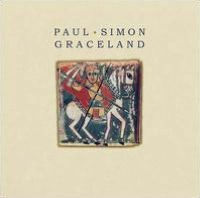 Although the name Pointed Man Band is a direct homage to Harry Nilsson’s The Point!, well before I knew that album, I spent my most formative years with Paul Simon’s Graceland. Growing up, our household consisted of plenty of Greatest Hits records but the full album cassette of Graceland was always close at hand. I’m pretty sure we wore it through. This is an album that I know from beginning to end probably better than any other and it’s also the album that I owe much of my musical curiosity. From the accordion opening of “Boy in the Bubble,” you know you are in for an adventure. And the songs themselves help to sing you across the vast landscapes, combining the familiar with the unknown. There is always a story being told to capture your attention and the South African band presents a new take on what you thought you were going to hear. Paul Simon changed my world with this album and he taught me to always be thirsty for ways to cross cultures, have a sense of humor, and push boundaries when creating music. Throughout high school I was continually seeking out music from different parts of the globe. Starting with a helping hand of Ladysmith Black Mambazo being an integral part of this album, it became easier to draw paths and connections to other artists. During my late teens and well into my twenties, I was always going to the library to find the the world section which eventually lead to my love of Samba, Tango, Reggae, Indian Ragas, Jazz, Classical and the list grew on and on. 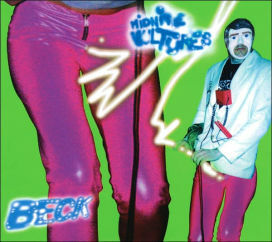 As Graceland opened my eyes and ears to the music of the world, Beck’s Midnite Vultures opened my mind to how to get over teenage angst and have a ridiculously good time while making, more often than not, no sense at all. One night as a freshman at university, I saw the music video for the first track off of Midnite Vultures and I was hooked. The video was as completely and perfectly nonsensical as the song it accompanies. The album is absolutely incredible, elusive of any one genre, hysterical and a studio and headphone masterpiece. For me this was an amazing example of a person not taking themselves too seriously, on so many levels, but making sure to pay the utmost attention to quality and challenging themselves to advance. I found and still find much comfort in that. This album is so lush and so well produced that I can’t help but want to revisit it again and again. 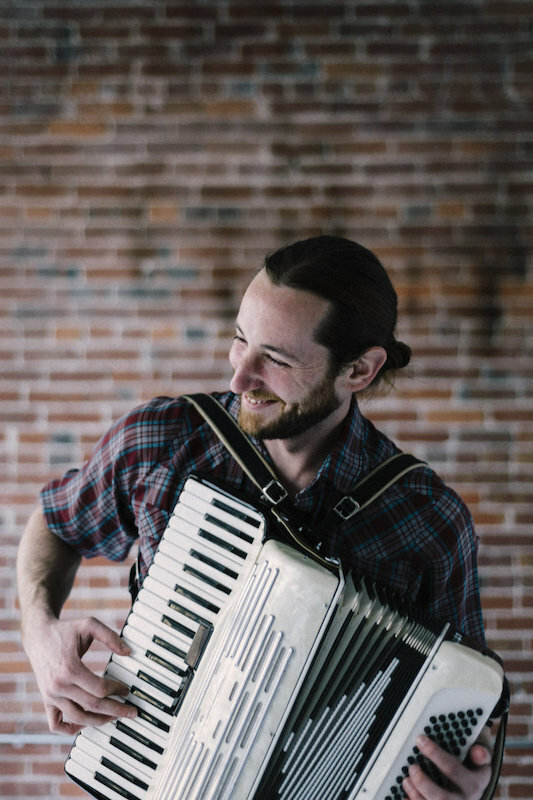 Lyrics would work their way into personal jokes with good friends and there’s nothing quite like turning some of these tunes up and singing along with your best raucous falsetto. Not to mention, if I can ever find the song “Debra” in a karaoke book, it’s on! They are two vastly different artists and albums, but together they continue to inspire me to always pursue new and different paths. And above all, not to lose that desire to produce my own personal headphone masterpiece. Posted in How I Got Here - Artists Reviewing Influential Albums and tagged with Dan Elliott, Pointed Man Band, Portland, Paul Simon, Beck, influential albums. April 11, 2017 by Stefan Shepherd.